Is Profit Maximizer a Scam? Read My REAL Review! I received a request to do a review of the Profit Maximizer system. Its a program that claims you can earn thousands of dollars per day on autopilot by letting the creator of the program ‘James Forley’ and his team do the work for you. So, what is Profit Maximizer about? Profit Maximizer is a binary options trading program. Binary options are stock trading alerts that are supposed to anticipate and let stock holders know when a certain stock will go up or down. This lets the stock holder know whether to buy or sell a particular stock. This type of information would be extremely valuable as you can imagine, but unfortunately binary options is a very common scam. The FBI is actually investigating binary options scams all throughout the world. Its estimated that binary options scammers steal over $10 BILLION per year worldwide from people like you, who are interested in making money with the programs. So, right of the bat my scam radar was on high alert, but I continued to look into it to see what else I could uncover about the program. 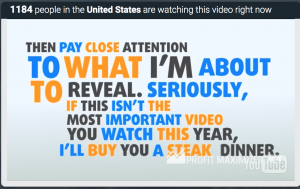 So, I went over to the Profit Maximizer website and watched the video that is on the homepage. While watching the video I couldn’t help but have a few laughs. 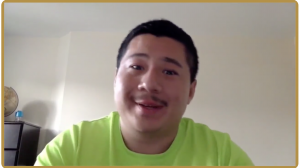 I review a lot of making money programs and during the video, I recognized some of the people in the video testimonials from other scam programs that I have reviewed in the past. This guy is a paid actor. You can hire him from sites like Fiverr.com for as little as $5, to do a video testimonial for you. One of the biggest points made in the video is that James Forley wont ask you for any money to get started. Upon further investigation, I found that this isn’t really true. James Forley and the Profit Maximizer system won’t take any money from you BUT to get started, you will need to deposit $250 into the stock broker account that the Profit Maximizer system requires you to use. I wonder who owns the brokerage? My guess would be ‘James Forley’. I went through the sign up process and noticed a few timers. One was counting down indicating my application would expire. Pressure tactics like this are very common with scam programs. They want to give the visitor a sense of urgency when looking into the program. This facilitates the process of getting the visitor to sign up for the program without over-thinking it too much, or doing further research on the program. Obviously the timer slows down, adds time, and even restarts the longer you sit on the page. Legit making money programs don’t do stupid crap like this. Where Is My Free Steak Dinner? James promised me that if his video wasn’t the most important video I watched all year, he would buy me a steak dinner. Can you make money with Profit Maximizer? Not likely. 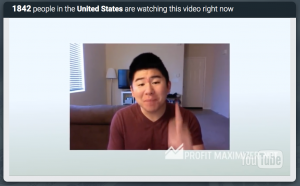 Is Profit Maximizer a scam? Yeah. It absolutely is. Actually its a very common one. 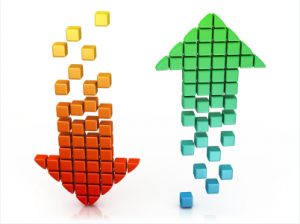 Anytime you come across a binary options program, you should be on high alert, or just simply walk away. There is so many of these binary option scams out there, your sure to encounter a few more if your looking into ways to make money online.